Away with the negativity! Do more often what you like. Something that makes you sad must be done right away. And replace this with something very fun. Do you like musicallys? Do this more often! You will see that you get better and make you happy. Do you know that feeling, the one you get when the world is beautiful and everything is good, but you stay on what’s missing? 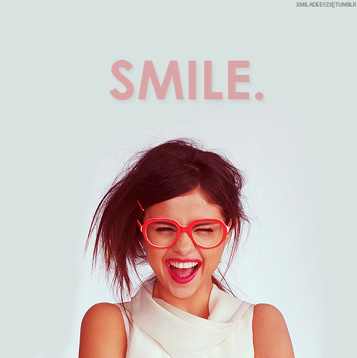 Selena Gomez for example. Her life seems perfect. Believe me this is not what it seems. And that applies to everyone. The point is, there is always a disadvantage. Do not focus on what you do not have, but what you have. This will make you a lot happier. Focus on people who are important to you. Talk to people and do fun things with your friends. Make fun movies and enjoy everything you do. Self-reflection is very important and immediately a very good idea to understand better who you are. You will focus on your positive qualities that can help you perform, which will naturally lead to your happier feeling. Maybe you’re really good with music or performance on the videos on musically. It’s good to try things out! Even if you think you do not like them. You create new experiences. Your thoughts are stimulated and it can bring good luck. For example, try a new song on Musically and watch it. Perhaps you are better than you think! 🙂 So go for it and inspire other people!